Dani Pedrosa signed off his best ever season in MotoGP by heading the timesheets at the end of a weather-hit two-day test at the Ricardo Tormo track in Valencia. Cold temperatures, intermittent rain and a slow drying track meant the Repsol Honda rider didn’t even take to the track until the final two hours of the test yesterday (Wednesday). Pedrosa, who dominated last Sunday’s final race, initially lapped on his 2012 factory RC213V before switching to the new ’13 prototype, which includes the additional 3kg of weight to comply with new rules that have seen the minimum weight limit raised from 157 to 160kg next season. 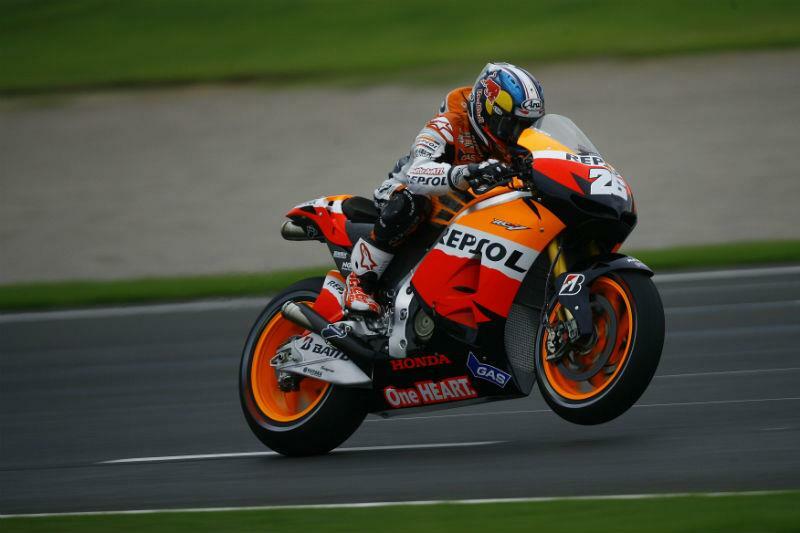 Pedrosa set his best time of 1.32.322 on the new version, which put him a comfortable 0.349s clear of British rider Cal Crutchlow in second. The Spaniard, who won a personal best seven races in 2012, including six out of the last eight, told MCN: “I did some laps with the race bike from Sunday and then some laps with the new bike. The big difference is the weight for the new rules. You can feel it a little bit in a straight line and a little bit on the brakes. Now in the winter Honda can look to see where they can fix all the weight better on the bike. Also every year the on-board cameras and batteries change, so this is also a lot of weight and this can impact on where the extra weight is placed." For six pages of coverage from the Valencia MotoGP test, see the November 21 issue of MCN.